You're invited to International Security Expo, register free today. Acuity Market Intelligence is supporting the International Security Expo, as an official partner we'd like to invite you to visit the event. 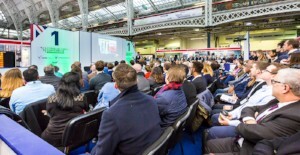 International Security Expo (28-29 November, Olympia London) puts the most topical security and counter terrorism subjects under the spotlight. Come and hear Minister of State for Security and Economic Crime, The Rt Hon Ben Wallace MP’s Keynote speech on Day One at the Protecting Urban Spaces Demonstrator area! Featuring 250+ international speakers and 55 hours of educational content which can earn you up to 110 CPD points across 2 days at International Security Expo. 350+ Exhibitors displaying over 1000 product launches! 300sqm central feature where visitors can experience the latest technologies in a simulated urban environment focused on how best to protect people and buildings in public places. Network with Government Agencies & Departments, learn about programmes and capabilities to help inform and coordinate international security. 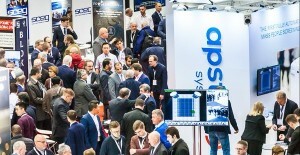 The ideal opportunity to network with like-minded security professionals and where the OSPA's will be announcing their finalists for “Outstanding New Security Product''. International Security Expo is co-located with International Disaster Response Expo - 2 shows included in 1 pass.